Rush pasture: An abundance of rushes marking out wetter ground, rush pastures are areas of grazed tussocky grassland with clumps or patches of rushes. Being damp and with some cover, the marshy grassland of Rush Pastures are most notable locally for their breeding waders such as Curlew, Snipe, Lapwing and Skylark as well as Brown Hare. For this reason it is important to conserve this habitat. The rushes can form separate tussocks or thick swards. Various rush species are found together with sedges and occasionally sphagnum and other mosses. Marsh Thistle, Meadow Buttercup, Spearwort and Tormentil may be found. . Pockets of this habitat occur in Barnsley across the broad swathe of land between Ingbirchworth, Broadstone, Crow Edge, Langsett and Cubley. It can also be found on poorly drained parts of reclaimed colliery tips such as Barrow and Cudworth common. Rush pastures fall within the UK BAP broad habitat Fen, Marsh and Swamp but can also be considered within a grassland category. Phase 1 habitat surveys list this habitat as B5 Marshy grassland. Purple moor grass and rush pasture is a national priority habitat. 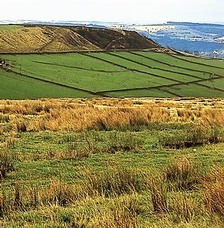 Rush Pasture within Barnsley is not pure Purple Moor Grass and Rush Pasture; a wider definition is adopted. The best examples of Rush Pasture support good populations or assemblages of key species such as breeding birds, amphibians, dragon / damselflies; or provide a rich site for plants or invertebrates. 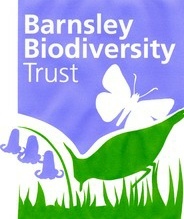 Rush Pasture is a local priority habitat because of the wildlife species it supports and the opportunities for conservation in Barnsley.